Sorry, this role has now been filled. Thank you for your interest. 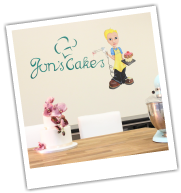 ​If you have a passion for Cake Decorating, and want to take it to the next stage, then you may be perfect for our team. We're looking for someone to join our team on the farm working in our beautiful studio. To apply, please complete the short form below and upload your CV. If you have any pictures of your work, please feel free to upload. We’re offering a part time position that we hope will become full time soon. The ideal team member would have previous experience in cake making and decorating; working with crumb coating, icing, sugar paste and figurine making with a good eye for detail and ability to match colours accurately. 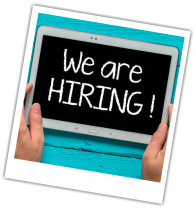 We’re looking for someone who is outgoing and can work well as part of a team with good communication skills, organised and has a history of working with customers. As well as cake decorating there will be a requirement to assist with sales consultations, marketing, admin and more. Good time keeping skills are essential. Download the full job description below, or get in touch if you have more information. Good luck​, we'll be in touch very soon. Please tell us a little bit about you. Please be brief, it will help us get to know you. Please tick which areas you're comfortable with or have experience of. This will help us find the right person. Please note that all perspective employees are required to prove their legal status to work in the U.K.